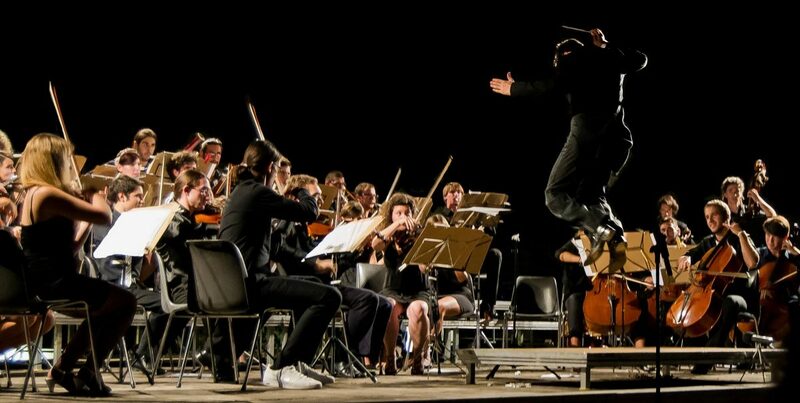 Is music the project itself, or is there a more project-based approach? 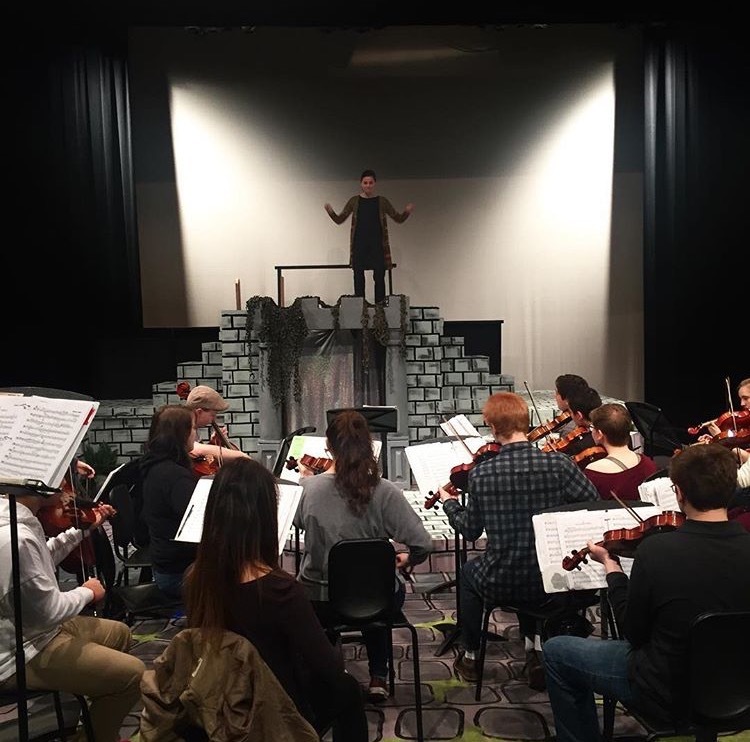 In the typical orchestra room, students sit in a certain formation and the conductor tells them what to do, how to play it, maybe demonstrates occasionally what it should look like. I have always thought of music and the arts as a more project based approach to learning, but in some ways it really looks the same. Especially in my 8 am orchestra class last year, when it felt like pulling teeth every time I asked a question about the music, there was something off about student engagement. Students need to be in charge of defining their own sound- they need to listen to each other play, and help each other refine technique so that it sounds unified. This means having a discussion about voice, perspective, how they want to be represented…. Students need to feel that their performances make a difference, that they are authentic, purposeful, and have the ability to move people deeply. Doing a recording that will be published or a radio broadcast will be more motivating than just performing for their parents. Students need to be in charge of their own assessment and evaluation. What and how will they be accounted for? 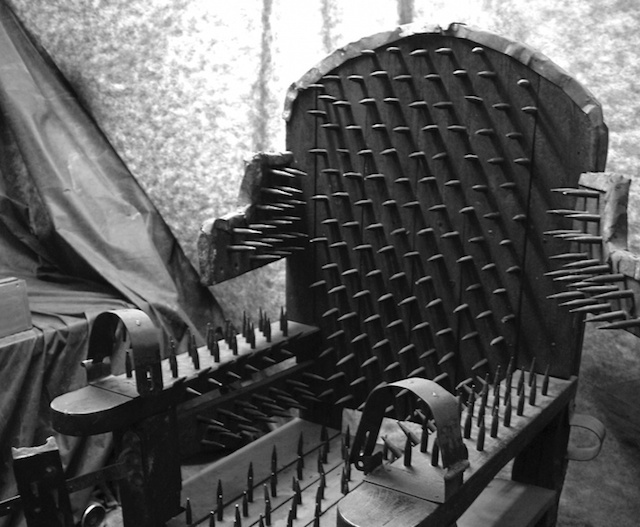 I am tired of coming up with ideas for making students on time for an 8 am class- maybe they have better ideas! There are many other little take-aways from this version of Alaska Studies that I have put in my tool box, and I have really enjoyed getting to know a new technology and negotiating the presentation of a region of Alaska with some excellent teachers. Author Sophia ButlerPosted on July 2, 2016 July 2, 2016 Categories PBL, Student posts2 Comments on Is music the project itself, or is there a more project-based approach? Who did you move today? 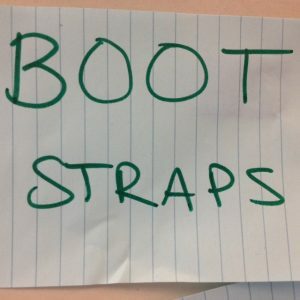 Boot straps illustrates the illusion of meritocracy for me. In the context of our readings, we discussed the notion of giving students expectations and assessments based on merit, when in reality, students succeed based on their accessibility to the learning. 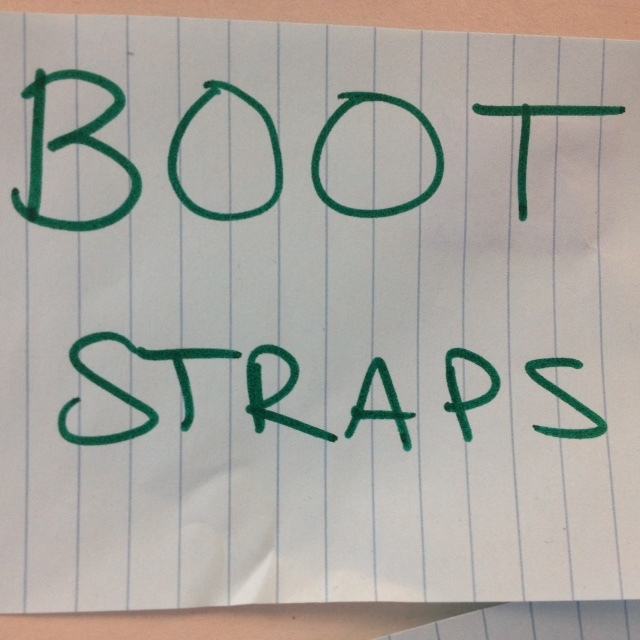 This doesn’t mean teachers pull up the boot straps of students for them, but gives them the tools so that they are able to pull up their own boot straps. Transformational teaching means students are asked to critically think about the systems that shape them and advocate for social change. 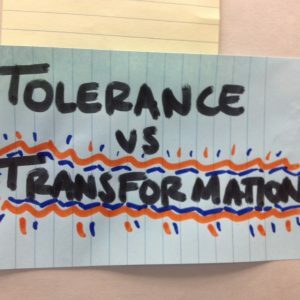 It is important to me that my teaching is transformative because my learning in public school was about acceptance and tolerance. I didn’t start asking questions about the system until I was in college, but it is important for students to start thinking critically and diversely much earlier! I really like this term, because it refers to a living trauma that still effects a lot of people, though the actual events may have been in the past. 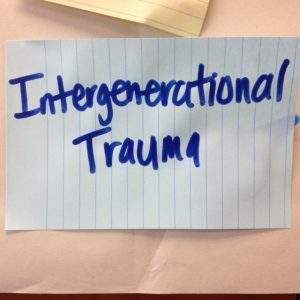 For example, students who have lost touch with their native culture because their ancestors weren’t allowed to sing or dance could experience trauma. 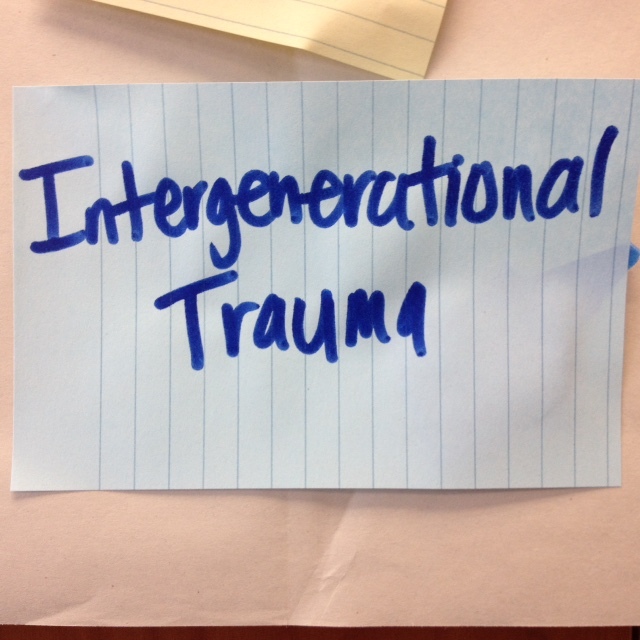 Or, a student whose parent had a bad experience in school may feel the effects of trauma in school. At our closing circle, David’s comments about the music touched me deeply. Those words are the reason I am a musician. He talked about music as a universal language that can move anyone, that everyone can appreciate (if they are taught). He talked about the power of Wooch.een (the Tlingit word for being together, working together) and the parallel he saw between playing together as an ensemble and our society, or our classrooms. In short, this is also why I’m an educator. To move students. To get them to think about their role in the ensemble. When I go to Malaysia next year, I will be in an interesting position, where Whiteness is not the dominant culture, but where White systems of education (teaching English, cultural “ambassador”) are still prevalent from colonial days. While teaching a standardized curriculum as part of a cultural exchange, I will also ask my students to consider their own culture and their own identity. I will be asking my Malaysian students about their language, parallels/connections between it and English. I will be asking my students about poetry and music in their community and helping them connect it to music and poetry in English. I will be asking them to share bits about themselves and helping them express that in their own language, in English, musically, etc. In all of these units, I hope to move my students, to touch them deeply so that they feel relevant, appreciated, precious, unique, all of those things David made me feel in that moment as a musician. Author Sophia ButlerPosted on July 2, 2016 July 3, 2016 Categories 680Final, Student posts4 Comments on Who did you move today? 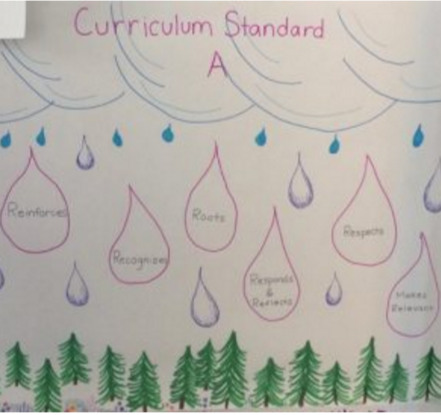 My group enjoyed coming up with “R” words to help us remember the elements of standard A for culturally responsive curriculum. I have paraphrased them below! My idea for a lesson or activity to incorporate this cultural standard involves having students learn songs by rote (or by ear only instead of reading music) emphasizing the oral tradition of cultures past and present. Students would engage in some kind of conversation about the limitations and values of both Western notation and oral traditions. I really enjoyed hearing about everyone’s ideas for lesson plans and coming up with an easy way to remember how to implement this standard. Southcentral Alaska is very culturally diverse, so this lesson only zones in on two of the many musical styles of the region. Looking at the music of the Dena’ina and Alutiiq people, the activities ask students to consider what values and traditions come through music of Native Alaskans, as well as their own music. They are also asked to ponder the influence of Western culture on Native music, such as the role of oral tradition vs. Western notation. I linked my lesson plan to curriculum standards A and B, but it illustrates standard B really well. The Alutiiq music happening right now is rooted in the fact that so much culture has been lost due to colonialism and racism in this state/region. The Suqpiaq and Alutiiq are recovering some traditional songs and preserving the language by putting Alutiiq words to Western songs. The hybridization is a wonderful jumping off point for talking about cultural history and values. The Woman who Married the bear is a wonderful story told by many Native Alaskan tribes, though each tribe tells it slightly differently. 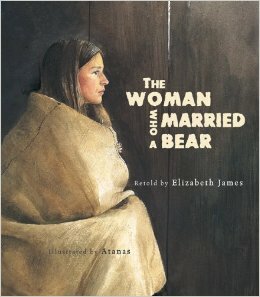 In the story, the woman insults the bear people one day and to appease them, marries the chief’s son. Over time she grows to love the bear and ends up protecting them from her human brothers and turning into a bear herself. The illustrations are beautiful in this book, and the story is told very well. The authors researched and have experience with this story as a piece of native culture, so it was presented authentically and respectfully. I could use this book as an introduction to native alaskan songs, which are usually parts of stories, and to the Alutiiq people in particular who represent a mix/hybridization of many cultural traditions from Yupik to Athabaskan to Tlingit. In Alutiiq culture, the Woman who married the Bear is a major story and a song, but it has elements of the story and the songs from the Southeast native and the Yupik versions. I can see an entire lesson revolving around hybridity of Alutiiq culture and the elements of songs and stories that carry over between native tribes in Alaska. James, Elizabeth. The Woman Who Married the Bear. Simply Read Books: 2015. If you get to a point in your classroom, when you feel that you’ve solved all the problems, that you’ve really got a handle on multicultural ed, then you’ve got a problem (paraphrased from David Sheakley’s contribution to discussion). His words so eloquently stated something I think sums up what teachers need to know about racism, white privilege, and multicultural education. So many of the issues discussed today boil down to an uncomfortable conversation, an uncomfortable reality, and an uncomfortable call to duty. As a white person, it isn’t comfortable to confront the fact that I didn’t get to where I am based solely on merit. It isn’t comfortable to acknowledge that I can be complicit in the racist society we live in. It isn’t comfortable to know that there is very little I can do as an individual to change the system. However, understanding that uncomfortable reality helps me think about what conversations I can have in my classroom, what impact I can have on my students, what I DO have control over. Often, confronting difference and addressing some of these issues is just as uncomfortable as passively acknowledging them. But I think ultimately it is the differences that help us learn the most about ourselves and about complex thinking and problem solving. Of course, there is a good way to scaffold this discomfort in a classroom, but it should be welcomed in a multicultural classroom. The comforting thing about the issues spoken about today is that they are social constructs. Racism and white privilege aren’t real, but created by human norms and systems, which means over time, they can be changed. I like to think that we, as educators, have an immense amount of power and impact on making that change happen for the next generation, by welcoming discomfort in our classrooms. Culturally responsive teaching means incorporating the environment and the people of the place our classroom shares, as well as considering the cultures represented within each student in the classroom. For example, during the math trail, we were asked to consider our surroundings in a different way than a college campus. While it engaged us in math, we were also engaged in the history and culture of the land we were learning math on! I was struck by the level of community involvement in Paula’s classroom as well, as she brought forest service workers out to help her students’ survey skills or hosted an event at the library for the community to learn about 4th grade research on the history of the neighborhood. The learning seemed to be more powerful when it was rooted in connections with people and places that were “home” to students. All of a sudden, students had purpose and value to their work. 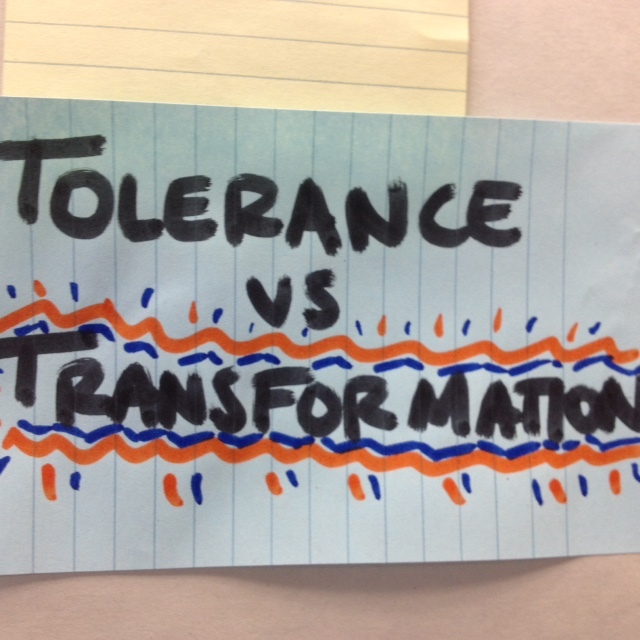 I thought working in small groups forced us to grapple with each other’s differences in culture as well. For students, it would take more scaffolding and facilitating, but the experience of confronting conflict, making a compromise, or using someone else’s strategy to solve a problem is transformative to the perspectives and social skills students take with them. Besides teaching lessons rooted place, I heard from the Elders the importance of each individual’s culture in their learning. Many Elders eluded to the importance of respecting the spirit of each being, of embracing everything and everybody as a resource. I think this is at the core of Gloria Billings’ thoughts on teaching, that everybody’s spirit is acknowledged in the classroom, that everyone has knowledge and capability in them that is wrapped up in the complexity of their culture. Hearing these words from the Elders as well was inspiring, and I think that for educators to really take them to heart, we need to be humble, honest, positive, and flexible. I have incorporated a few culturally responsive strategies into my music classroom in the past year. At the elementary school level, I invited the cultural specialist to come in and teach the paddle song to 5th graders, as we did a unit on work/functional songs. I have incorporated local songwriters into units on songwriting and invited local performers to come work with students in sectionals. In performance classes, students play for community events such as at the Pioneer Home or the Folk Festival. I am always sure to contextualize each song we learn by exploring where in the world it came from and how it is a reflection of the people’s culture. Certainly, I wish I could find more ways to get students to study music of native cultures, or music of their own culture, but often I feel handicapped by the skills/technique/content I am responsible for teaching. I was inspired by Paula’s amazing connections with the community to create some sort of teaching artist workshop where students could learn native song and dance and perform it together (I believe Sealaska did something similar in Juneau schools last year). A music history class focusing on music of Alaska would also be an incredible project for students to sink their teeth into. My grand take away from thinking about culturally responsive teaching this week, is that it doesn’t need to be so involved in each lesson. The connections and contextual information can be very subtle, yet still so important. From a year of experiencing this work, I know how difficult the connections can be, yet how rewarding they are. Teaching is really more about facilitation and relationships than about knowledge! This was my second time hearing about Scott’s interdisciplinary work in Nikiski, but this time I really enjoyed experiencing the quiz at the beginning. I was an opportunity to remember what it feels like when a teacher asks you to bring your cultural background knowledge into the classroom. When a survey like this happens, it provides so much opportunity for involving students in community projects. I was also very moved by Ernestine Hayes’ reading last week. She is inspiring because she isn’t afraid to say things how they are, no matter how much dis-comfort she might receive. I think this is a behavior to aspire to as a culturally responsive teacher in order to really advocate for our students against a fairly racist system of education we work in.